BEIJING -- Daimler apologized on Monday for an incident in China that local media said involved a senior executive of the luxury automaker making disparaging comments to people in a parking dispute. Daimler's local division later said that while the dispute was a private matter that was eventually resolved amicably, the company had "relieved the manager of his position." It did not name the manager. The official People's Daily reported that Rainer Gaertner, who heads Daimler's local trucks and buses unit, had made insulting comments about Chinese people and used pepper spray during the altercation in Beijing. It did not say from where the information was sourced. 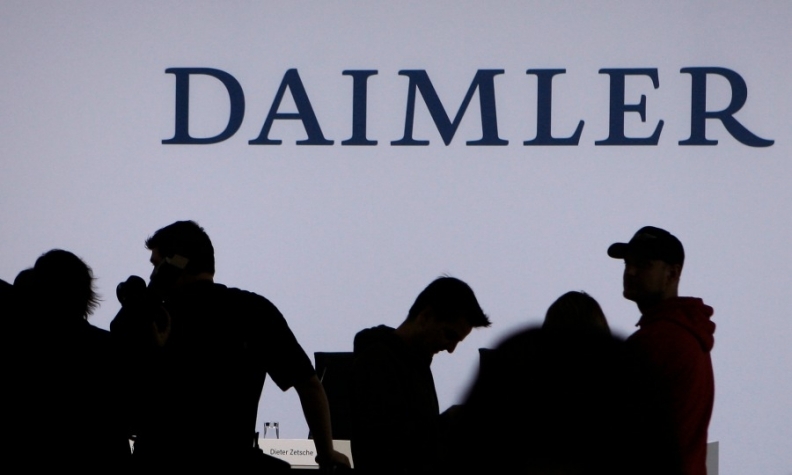 "The nature of the dispute and in particular the manner in which it was conducted, irrespective of any comments alleged to have been made, is adjudged to be not only of concern to the public but viewed by us as detrimental to the standing of our company, unbecoming of a manager of our brand and prejudicial to our good name," Daimler Greater China said in a statement. "Such an incident reflects in no way the values of Daimler AG and we sincerely apologize for the concerns raised by this matter and the views that people have felt obliged to express following the reports of this regrettable matter". It did not provide any details of the incident or comment on the reported use of pepper spray. It said inquiries by the authorities had been closed and that details of the agreement settling the matter remained private and confidential between the participants. Gaertner could not be immediately reached for comment by phone or email. People's Daily said the German executive's dispute was with a Chinese driver at a residential community in Beijing's northeastern Shunyi District. Passersby were drawn to the quarrel and tried to defend the Chinese driver, it said. The media reports prompted a spike in online chatter, with the outburst in the top 10 discussed topics on popular microblog Sina Weibo on Monday morning. Many users posted comments saying they would avoid buying Mercedes cars and light trucks. Critical reports in official Chinese media have in the past hit the reputations of foreign brands and hurt sales. In June the official Global Times criticized cosmetics firm Lancome, part of France's L'Oreal, for working with Hong Kong pro-democracy singer Denise Ho, sparking calls online in China to shun the firm's business. Lancome cancelled a planned concert with the singer.